Snow this time of year feels a lot like an April Fool’s joke, but these last gasps of winter can’t change the prevailing winds blowing birds north. Depending on where you live, this weekend might not have been ideal to meet these migrants. No worries, because better days lie ahead. My time at the Braddock Bay Hawk Watch platform may have been sparse for raptors, but I picked up all kinds of FOY birds. The best of the bunch was a winter species, Common Redpolls probably winging it to the boreal forest. 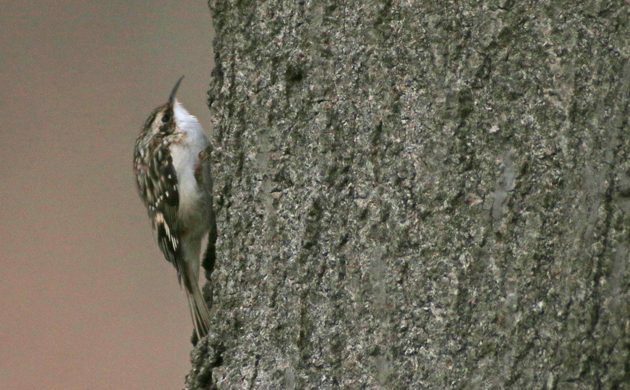 Corey saw eight Brown Creepers at Baisley Pond Park on Saturday morning, the most he had ever seen at one location. He chose any of the eight as his Best Bird of the Weekend both because he had never seen so many and also because, after years of hearing older birders complain that they can no longer creepers’ high pitched song, he was pleased that another spring has come in which he still has the ability to hear them! Pacific Wrens, such tiny birds singing such magnificent songs! I’m curious about Corey’s Brown Creepers. Were they on old growth trees? I just learned they are an indicator of old growth. We see them here on the Olympic Peninsula on both old growth and second growth.